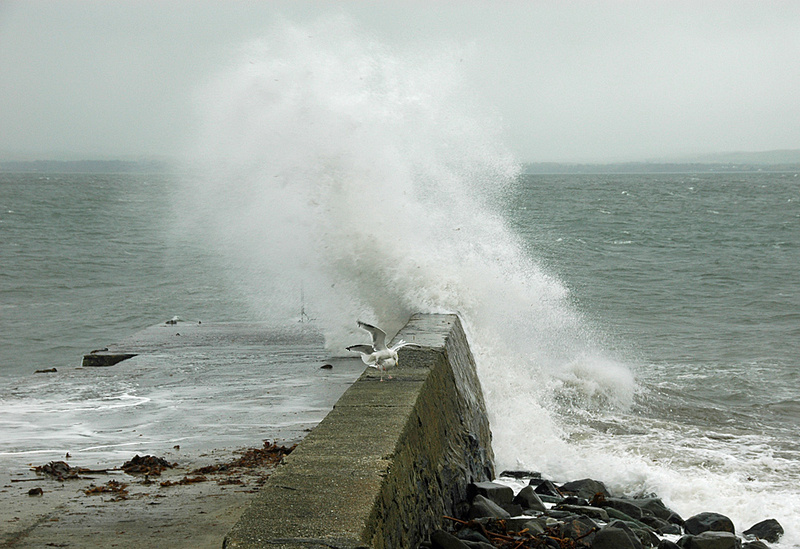 On a windy day on Islay the waves often break spectacularly over Port Charlotte pier. The gulls don’t seem to take much notice though, largely ignoring the wave breaking only a few feet away. This entry was posted in Cloudy Weather, Landscape, Repost, Sea Loch, Village and tagged Gull, Islay, Loch Indaal, Port Charlotte, Rhinns of Islay by Armin Grewe. Bookmark the permalink.